I was haunted by the sound of the pause in the doctor’s room. I was there for an early ultrasound to hear my baby’s heartbeat. It would have been the very first time, but I left with nothing. All the excitement came and disappeared in what felt like a matter of seconds. I was left traumatized, shocked, and furious. It all caught me off guard. I remember I wore a favorite, flowery dress that day to match my bright outlook on life. But my joyous mood had changed. I irrationally decided to hate the world, everything and everyone in it. I never anticipated miscarrying a child. Truthfully, I had never even anticipated having a baby in my early twenties, but once I found out I was pregnant, I fell in love with the idea. That love grew more and more intense as I discovered a whole new world of motherhood. Never before had I gazed so happily towards tiny little baby clothing, diapers, and nursery accessories. I was in another state of mind, all googly-eyed. My pregnancy only lasted seven weeks, yet those measly three weeks of knowing I was pregnant changed my life forever. I instantly wanted to try again for another baby despite being in the middle of my college career. My boyfriend at the time, now my husband, was one hundred percent against the idea. The one person I needed to be there for me let me down and I felt alone. I was trapped in a dark cloud of emotions. That day of bad news went by in a daze. The sun refused to stop shining and the birds continued to sing. The world couldn’t have cared less about my sudden loss. It continued as mine shattered and froze in place. Later that night, the physical pain was triggered and soon enough, I was experiencing full-blown labor pains. My body was cramping up repeatedly, preparing to reject the embryo unworthy of being called fetus. To make matters worse, the doctor insisted on having me collect the embryo once it passed so it could be sent to a lab for further testing. Can you imagine collecting an undeveloped embryo that was supposed to grow into your human child? I am very much in favor of medical studies, so reluctantly I did as they asked. I was fortunate that my loving boyfriend spared me and took care of that part himself. A small amount of time passed, hardly a month, and sure enough, my sister, sister-in-law, and step brother’s wife both became pregnant at the same time. It was at that time that I should have sought professional help from a grief counselor. My world completely flipped upside down and my mind was plagued by pregnancy hormones. My relationship entered a state of turmoil and I passionately hated everybody in sight. I discovered the most bitter form of jealousy imaginable towards pregnant women and skipped all baby related events. It was unbearable looking at ultrasound pictures and watching baby bellies grow and protrude outward. One evening, I was driving and talking on the phone with a relative only to discover that my cousin was also pregnant. To say that I threw a crying fit would be an understatement. I had a psychotic break-down. I could not see or hear anything, I could not even breathe. My rage was beyond measureable. That was by far the worst pain I had ever experienced at this point in my life. My boyfriend had me pull the car over and he took over driving once I had calmed down. It is shocking to look back at this period in my life to see how muddied up my vision appeared. I was the first person pregnant in both my boyfriend and my immediate families so babies were a very new and exciting topic those three weeks. I had desperately wanted my sisters to be pregnant with me because I thought it would be the coolest thing ever. Instead, I ended up without child and they all conceived as if to spite me. Although the pain dragged on and on for over a year, there is a happy ending and moral to this story. I learned that many women experience miscarriages through no fault of their own. Roughly, one in five pregnancies end in miscarriage. It has been almost five years since my first miscarriage and I now have a crazy cute two and half year old daughter and a five month old son. I did end up having a second miscarriage in between those two full term pregnancies, but it was not nearly as tragic as the first one. I miscarried right at five weeks pregnant that second time and due to my first miscarriage, I was wary of announcing my news early again. Not many people in my life even know about that one. I also learned that it does not matter how long you carry a baby for you to be affected by the loss. I was only pregnant for seven weeks when I miscarried the first time and it made for an emotionally draining and exhausting year of my life. I sunk into a deep depression that did not end until I became pregnant again. But, I am now happily writing about my motherhood experiences. 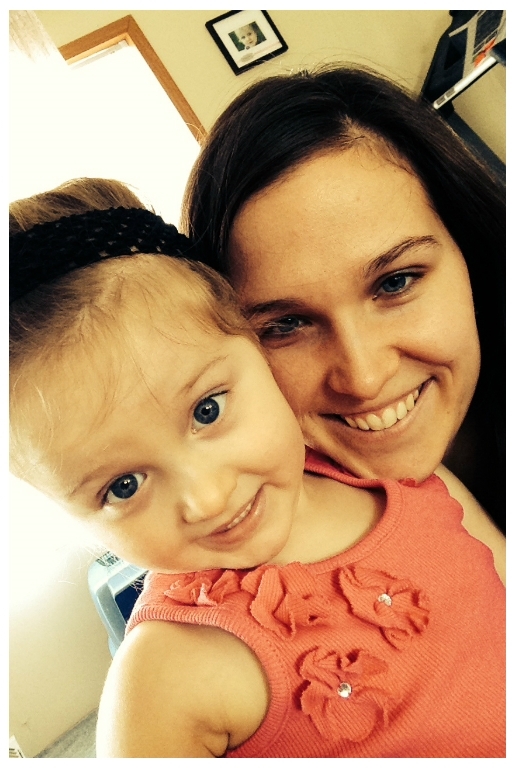 I started blogging while I was pregnant with my daughter. Motherhood has been one gigantic learning experience filled with many beautiful ups and some scary downs. Overall, I realize how blessed I am to be able to raise children and show them a love never before imaginable. 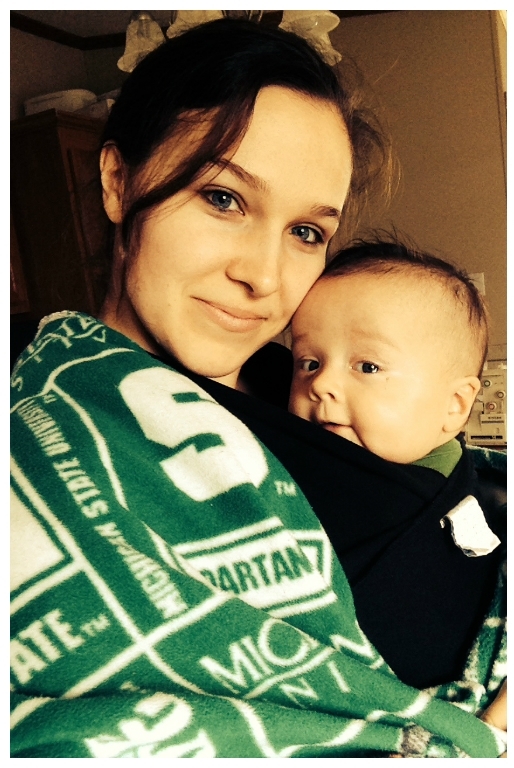 Monica lives in Michigan with her husband, Bill and two children, Amelia and Oliver. She blogs at www.mommyandlove.com, shares her family’s journey through photos on Instagram and updates on the Mommy & Love Facebook page. Thank you for sharing. I have never experienced this, but some friends have and I feel like you gave me a window into their grief. Thank you! 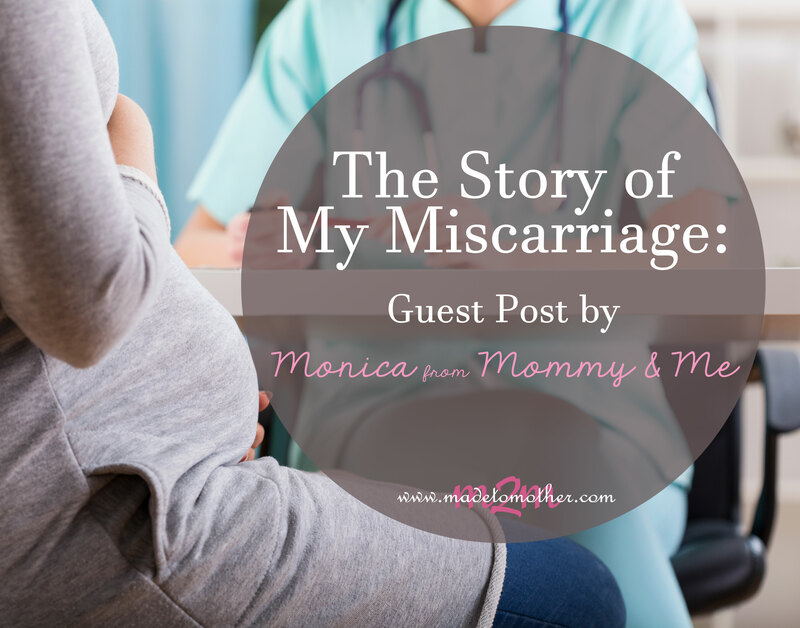 I know the pain you felt, my first pregnancy ended in miscarried. We heard a strong heartbeat and for the next checkup around 13 weeks it was gone. It was the hardest trial of my life after 3 years of TTC. It’s something people can’t understand unless they have been through it, I’m sorry you had to endure it not once but twice. We now have a 3 month old, I finally got pregnant a year after our miscarriage. I think losing the first is just so horrible, so so horrible. Thank you for sharing your story, we never know who might be reading and suffering a loss. What powerfully written words, Monica. My heart aches in hearing your story of loss, especially because I can so closely relate. We endured four miscarriages in less than a year before discovering the issue, fixing it and now having our two precious daughters. It was a time in my life that I can now look back on and see God’s hand all over it, but at the time, I felt very much as you did–alone, depressed and angry at the world. Thank you so much for sharing your story, especially because so many women need to hear it! Somewhere along the way, stories f miscarriage and loss became hushed and spoken in whispered tones. I also have a blog in which I share our story and any words God gives me in an effort to encourage other women with breaking hearts. I would be so honored if you would stop by to read sometime. I’m also planning to visit your blog, as well. 🙂 God bless, sweet sister!